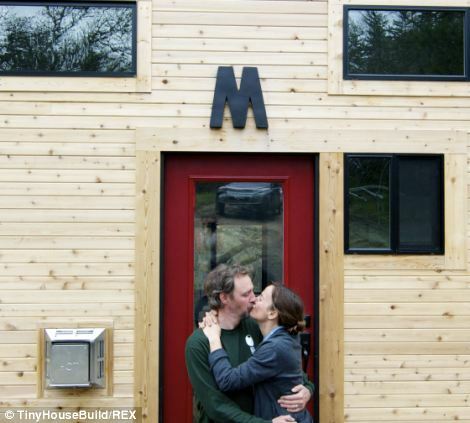 This Tiny Home Didn’t Look Like Much From The Outside…Then I Stepped In And OH MY GOD! In the part of the country that I live in there are a lot of year round campgrounds due to the weather and it’s fascinating to see these little micro communities when you drive past them. Bear in mind, we’re not talking about some run down trailer park here. We’re more or less talking about campgrounds where people that live in places that get cold in the winter for example would drive down and stay for five or six months out of the year and then drive back up when the weather gets warmer where they normally live. They either have campers that they keep in storage where they are going to be settling for the winter or they bring along when them something that is an absolutely wonderful phenomenon the last eight to ten years….their tiny home. 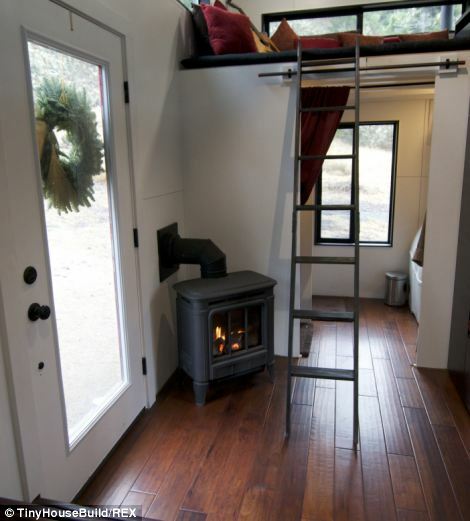 Now, for people that like to sit and stay in one place for several decades in their life might not like the prospect of the tiny home for those that are of the spirit to explore and see as many things as you might be able to see in your time on earth a tiny home is absolutely perfect. For one, since it qualifies as a camper you can place it pretty much anywhere. Second, depending on the type of build out you undergo you can make one as large and as small as you would like. 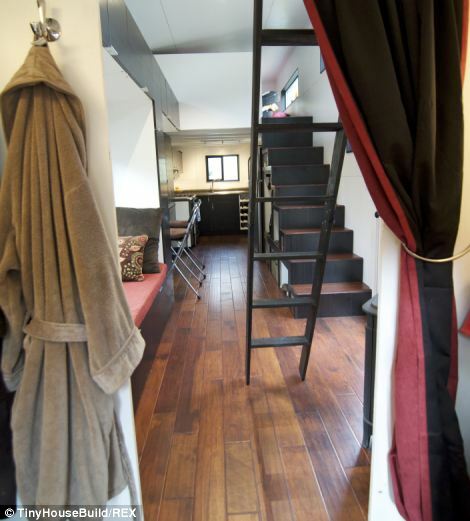 I have seen tiny homes that were no bigger than a walk in closet and I have seen tiny homes that are the size of campers. Andrew and Gabriella Morrison were living in Oregon, and month after month they were paying an outrageous mortgage. This constant payment started to wear on them and they realized that it was completely unnecessary to be stuck in a 30 year loan for a place to call home. Both having backgrounds in construction, they decided to change this predicament they were tired of fighting every month. 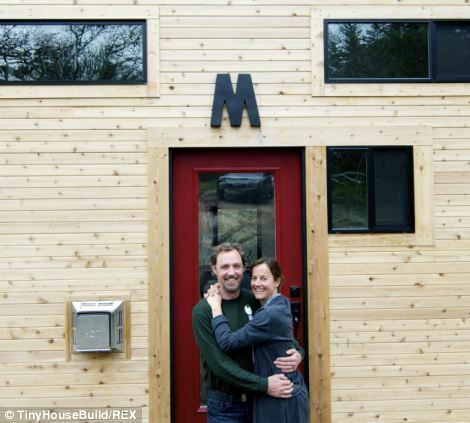 They sold their house, saved up $33,000 and built a mortgage free beautiful home that is grabbing attention, as well as starting a new trend across the nation. 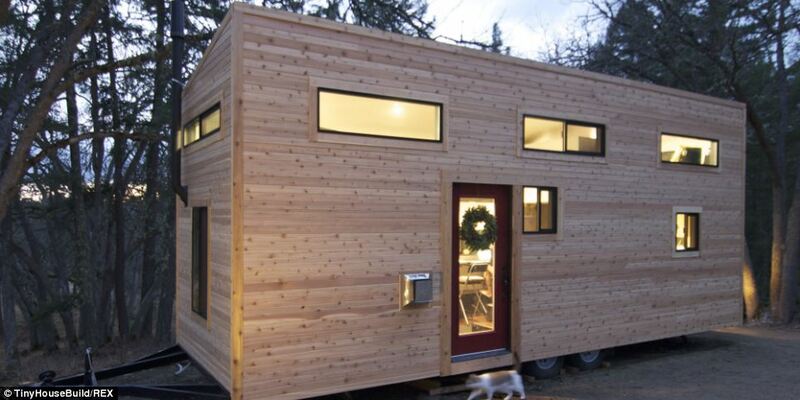 Andrew and Gabriella decided to build a tiny home on wheels that had everything they would need. This is the beautiful rustic exterior of their home that ties into the surroundings perfectly. With no debt and no mortgage, the enormous smiles are understandable. The Morrison’s were able to create a luxurious living space for just $33,000 that they designed themselves. The interior of the hOMe is fully equipped with a fireplace, hardwood floors, a second level, kitchen, bathroom, and dining area that was roughly $11,000 to build and decorate. 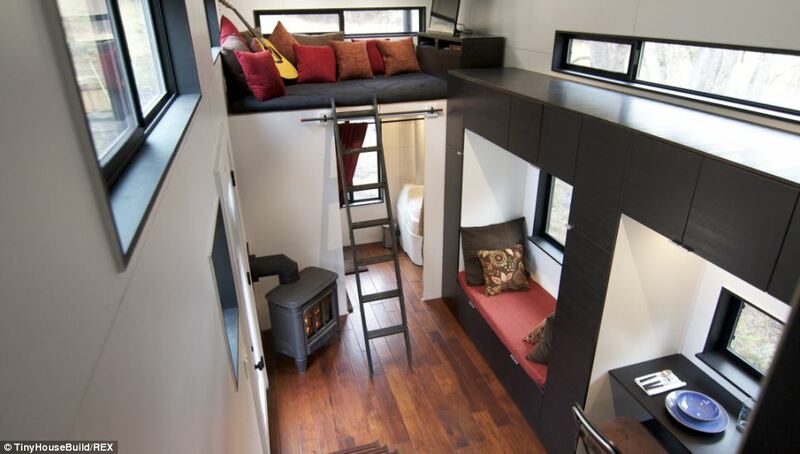 Because they designed the hOMe to be small, heating the hOMe is very efficient and doesn’t take much at all. 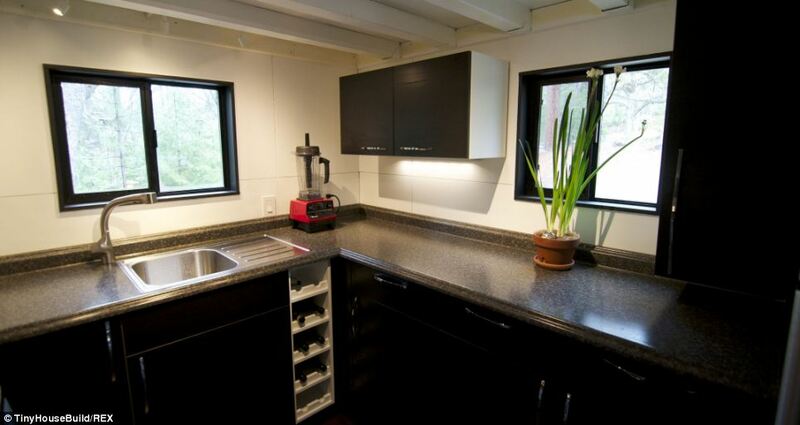 The kitchen is actually quite spacious with all the modern amenities the Morrison’s need. The second story is where the couple sleeps. There is even a wide window at bed level allowing amazing nature views from a comfy spot.